Home › Home and Kitchen › Koolife 4-In-1 Knife Sharpener For All Knives And Kitchen Scissors Profession..
60 DAY 100% MONEY BACK GUARANTEE! 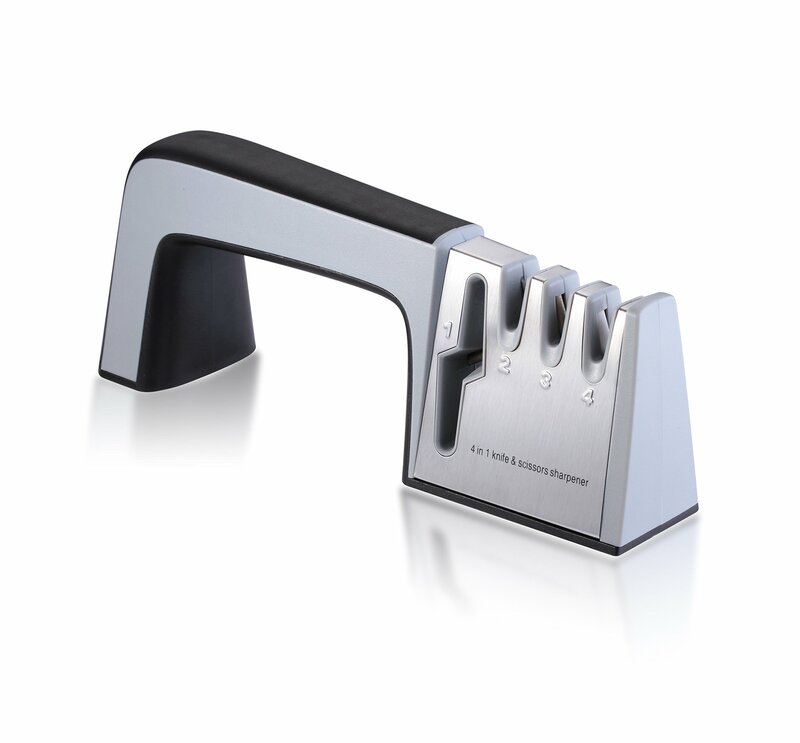 :We believe in this knife sharpener so much that we are able to offer this amazing guarantee. BUY NOW - You won't be disappointed ! Multi-function: Suitable for serrated knives, pocket knives and ceramic knives ! Koolife knows that blunt knives are a chore, dangerous and makes all your foodpreparation more difficult. Using the Koolife Knife Sharpener you can transform any blunt kitchen knifeinto a razor sharp cutting machine! If you have a blunt knife in the kitchen buy the Koolife Knife Sharpener NOWand bring it back to life! The Koolife 4-Stage Knife Sharpener takes all the guesswork out of honing yourfavorite knives, with its perfectly angled rods. Choose scissor, ceramic,coarse or fine, depending on the type of knife and how dull it is, and justpull it through the mechanism three or four times for a razor-sharp edge everytime. Click the "add to cart" button above and buy the Koolife Knife Sharpener toKeep your kitchen knives sharp and they'll last for years. User Tips: 1. Pull inwards from the outside when you sharpen your knife; never go backand forth. 2. Don't put sharpener in or on water. Keep the sharpener dry and clean.